Most freelance bookkeepers still bill their clients at an hourly rate. However, the flat-rate method is becoming increasingly popular. In this guide, we will explain how flat-rate billing works, compare and contrast hourly rate vs. flat rate and discuss factors like geographical location that can influence the freelance bookkeeper rates you can charge your clients. If you are a brand new freelancer, you will need to keep with the status quo and charge your clients an hourly rate. This will help to keep things simple as you figure out what types of services you want to provide to your clients. There are several factors that impact how much you can charge your clients, and we will discuss each of these in detail next. Billing your clients an hourly rate is easy with FreshBooks. You have the ability to invoice your customers and collect payments online. You get paid faster and can also send reminders, automatically calculate taxes, add your tracked time and expenses, and more all from one platform. It offers a 30 day free trial for you to see if it’s right for your business. Click here to get started. Whether you decide to charge customers an hourly rate or a flat fee, there are six key factors that will impact how much you will charge for your services, These are: your geographical location, level of education, the certifications you hold, the amount of experience you have, the types of services you provide and the length of the client relationship. Listed below are the six key factors that impact what you can charge for bookkeeping services. According to a survey published by Zip Recruiter, the average national rate for a freelance bookkeeper is $23 per hour, but these rates vary from one state to the next. You might think places like Nevada, Montana, North Dakota, Wyoming and Idaho would have a significantly lower average than California; however, the average national hourly rate for a freelance bookkeeper is $19.47 in these five states vs. $19.93 in California, which is only a 46 cents per hour difference. One reason why you can still make a decent hourly rate in rural areas is that there is not nearly as many competing for business in these areas as there are in states with large metropolitan cities like California and New York. *Data taken from Zip Recruiter survey based on millions of open freelance bookkeeper jobs across the United States. The five states in the above table represent the most populous states in the nation. The remaining 45 states, plus the District of Columbia, have a combined average hourly rate of $18.47 and range between $16.62 and $21.14 per hour. While bookkeepers who pursue a position with an employer can get their foot in the door with just a high school education, it’s not likely you will be able to attract clients as a freelance bookkeeper without a degree, bookkeeper certification or work experience under your belt. Your best bet is to pursue an entry-level position as a bookkeeper so you can gain the experience that you need. Check out our Bookkeeper Salary guide to learn more about where to find bookkeeper jobs including the average hourly rate. Read on to learn more about bookkeeper certification programs we recommend. There are three types of certifications for bookkeepers that we recommend; the American Institute of Professional Bookkeepers (AIPB), the National Association of Certified Public Bookkeepers (NACPB) and the QuickBooks ProAdvisor certification. Thousands of bookkeepers have successfully completed one or more of these programs (self-included) and, as a result, have increased their earning potential and put their resumes ahead of other candidates. Listed below are three types of certifications we recommend for bookkeepers. The AIPB certification program is ideal for someone who does not have any formal education in bookkeeping. Certification exam and materials are $574 for nonmembers and $479 for AIPB members. Upon completion of all certification requirements, you will earn the designation as Certified Bookkeeper (CB) that you can include on your business cards and marketing materials. The NACPB certification program is ideal for folks with an associate degree or bachelor’s degree in accounting. The certification exam is $600 for non-members and $400 for NACPB members. Once all certification requirements have been met, you will earn the designation Certified Professional Bookkeeper (CPB), which you can include on your business cards and marketing materials. In addition to getting certified through the AIPB or NACPB, we also recommend you get certified in QuickBooks. The QuickBooks ProAdvisor certification program is ideal for freelance bookkeepers because it allows you to get certified for free with no strings attached. Read our guide on how to become a QuickBooks ProAdvisor. To learn more about the benefits included and how to get started with the AIPB or the NACPB certification, check out our Bookkeeper Certification guide. While having a degree and/or bookkeeper certification will give you the knowledge that you need to get your foot in the door, I believe “experience is the best teacher.” The more experience you have doing actual bookkeeping work, the more confident you will be in your skills which will translate into higher billable rates. Here are three tips that may lead you to earn higher wages as a freelance bookkeeper. If you don’t have the confidence that you can do the work, you will set your prices too low because you don’t know your worth. The more work experience you get under your belt, your confidence will soar and, before long, you will have no problem charging a client what you know you are worth. Your services go beyond the books to the actual value that you bring to your client. As a result of having accurate books, your client can expect a reduced tax bill, avoid penalties and interest and have confidence that they will survive an audit because thanks to you they will be in compliance. After you’ve been a freelancer for at least a year you may find that most of your clients are in the same or similar industries. You could ask your clients if they are members of an association where you could give a short presentation on the importance of managing their business finances. This could set you up as the local bookkeeping expert for that industry like Realtors, restaurants and so on. In general, bookkeeping services include managing all aspects of accounts payable and accounts receivable, reconciling bank and credit card accounts and generating monthly financial reports. If you have the expertise, you could increase your billable rate by offering payroll and tax preparation services in addition to bookkeeping services. 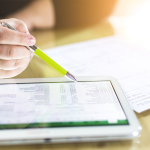 Taking on all three services — bookkeeping, payroll and tax prep — would be ideal not only for your firm from a revenue perspective but it would also benefit a small business to have all of its financials managed by the same firm. To ensure you submit a competitive quote to your client, I recommend that you complete an assessment during your first consultation with a new client. To assist you, we have created a New Client Assessment that you can edit as you see fit to meet your individual needs. Download a copy of this article and your free New Client Assessment here. In this Excel workbook, you will find two worksheets. The first worksheet is the blank template that you can fill out with your client’s information while the second worksheet is a sample of a completed worksheet for a fictitious client. Once you have completed the assessment, you will have an estimated total number of billable hours that will be required to meet your client’s needs along with an estimated total cost of services. You can transfer this information over to an estimate or quote and send it to your potential new client for approval. The length of time that you will provide services to a client should also be considered when you are trying to decide what to charge for your bookkeeping services. Some customers will be one-time customers and others you will provide services on a recurring basis: monthly, quarterly or annually. Ideally, the clients whose books you review most often should have a lower rate than those that you see on a one time or annual basis. In my experience, monthly and quarterly clients require less work than those who you see once a year because you review their books more often. One-time service: Businesses that hire you to do a QuickBooks company setup and train them to keep their own books; preparing tax returns can also be a one-time service; company file setups and annual tax return prep will most likely require more time since you are not familiar with the client and must get up to speed in a short period of time; the rate you charge for this service should be higher than the rate your recurring clients pay. Once you’ve taken these factors into consideration and you’ve found the most optimal pricing for your services, you need to make sure potential customers can easily find you and quickly access your pricing info to determine if they’ll use your services. Try using financial marketing services experts CPA Site Solutions to design a customized website for your business. They will reach out to you to quickly get information like content, images, location and pricing and create a specialized website that will receive quality web traffic and convert that traffic to leads. Try it free for 60 days. Charging by the hour is typically how most freelance bookkeepers bill their clients. In addition, there are certain situations that billing by the hour makes more sense than charging a flat rate. To help you determine if freelance bookkeeper hourly rates are right for your bookkeeping business, I have provided you with three scenarios where I would recommend hourly billing over flat-rate pricing. You have been a freelance bookkeeper for less than six months, and you don’t quite know how long it will take you to complete basic bookkeeping tasks like invoicing customers and paying bills. Since it’s difficult to compute a flat rate without having an estimate of the number of hours it will take you to complete the work, hourly rate billing would be best in this situation. Clients who prefer to contact you on a periodic basis to ask questions or to have you review their QuickBooks file to ensure they are doing everything correctly should be billed by the hour. For those clients that you see once a year between January and April, to complete their tax return or perhaps take their shoebox of receipts and enter the data into an accounting software program, hourly rate billing would work best since you do not perform work for them throughout the year. While there are a number of pros to charging clients by the hour, there are also just as many cons to doing so. On the pros end, if a job takes longer than you anticipated, you will get paid for all of the hours worked. As far as drawbacks, the only way to increase revenue for an hourly job is to work more hours or increase your hourly rate. Flat-rate pricing, also known as value-based pricing, has become increasingly popular among freelance bookkeepers. Instead of charging clients an hourly rate, you charge them a flat rate based on the value that you are providing beyond the number crunching. This includes things like catching errors on bank/credit card statements and helping lower their tax bill by properly tracking all expenses. You have worked as a freelance bookkeeper for at least a year now, and you have established a solid client base. During this time, you have also used a time and billing system like FreshBooks to keep track of hours worked by client or project. Because you have a good record of the amount of time it’s taken to complete client work, it will be easy for you to compute a flat rate based on the type of work completed for each client. Most of the revenue that you generate is from providing recurring services like bookkeeping, payroll or tax services to a set clientele as opposed to providing services to many one-time clients. Clients that you perform work for throughout the year are ideal for value-based pricing. You provide a service where the hours fluctuate often. For example, let’s say you provide remote support to your QuickBooks clients and, in one month, you had six troubleshooting sessions that resulted in $600 of revenue. Then, the following month, you only had three troubleshooting sessions, which resulted in $300 of revenue. While the level of service you provided was the same, you made less revenue only because you worked fewer hours in one month vs. the other. With value-based pricing, you would charge the same monthly fee regardless of the number of hours worked. This is best for the clients because they know upfront how much their bill will be and can budget accordingly. In addition, your firm’s revenue will not decrease. Similar to hourly rate billing, there are pros and cons to flat-rate billing. On the pros side, you and your client can plan ahead because you know how much your revenue is going to be and your client knows how much to budget for. On the negative side, if a job takes longer than your initial estimate, you may have to “eat” the additional costs that exceed the original quote. Inaccurate estimate could result in overcharging customers: You may overestimate how long a job will take, which could result in overcharging a client while this may sound like a good thing, it is not good business to overcharge clients, and it could result in the loss of a client if they find someone else to do the work for much less. Some clients might insist on hourly rate billing: Since hourly rate billing has been around a lot longer than flat-rate pricing, you may encounter some resistance from your existing clients who are accustomed to being billed by the hour; as part of our research, with spoke with several firms that provide bookkeeping services; read on to find out how one of our experts, Candy Johnson Bellau, handled this situation in her firm. To help you gain a better understanding of the benefits of making the switch from hourly rate billing to value-based pricing and how one firm has done it successfully, I spoke with Candy Johnson Bellau, owner of Kramerica Business Solutions, LLC. 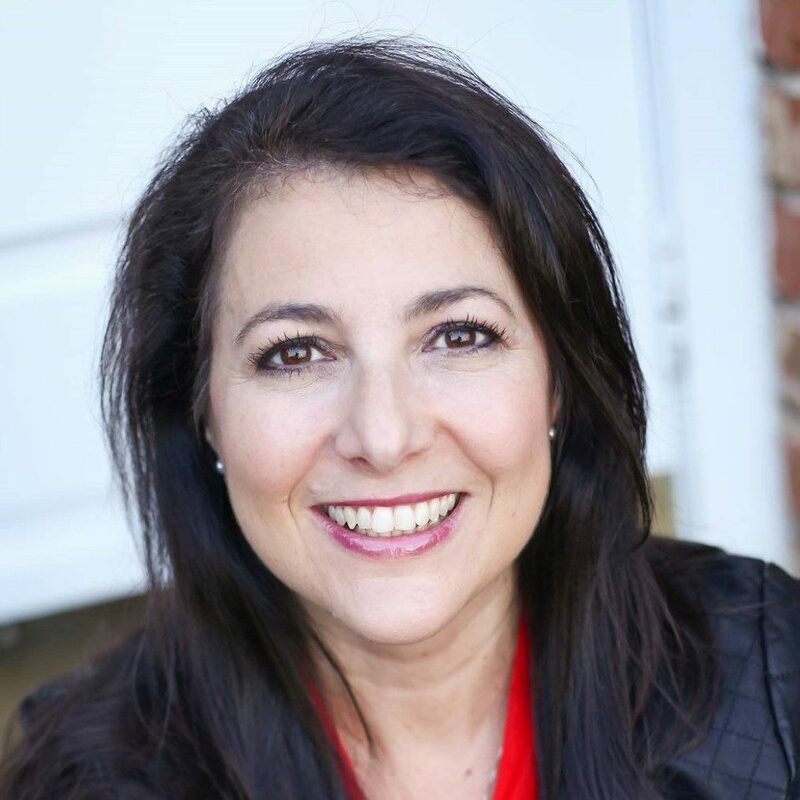 Her firm specializes in outsourced controller & chief financial officer services, business coaching and recruiting services, and it has converted the majority of their clients successfully from hourly to flat-rate pricing. Why did you decide to transition from hourly rate billing to value-based? Bellau: I started to notice that the number of hours our firm was billing was going down yet our costs were going up. What I came to realize is that I had started to invest in a number of tools that helped my team to work more efficiently. For example, we started using Hubdoc, which is an app that will go out and fetch bank and credit card statements for each of my client’s accounts so that we don’t have to do it manually. It costs us to use that tool and, at the same time, we were spending less time chasing documents, so our billable hours decreased. So, I thought why should we be penalized for providing the same type of service but in less time? What benefits have you experienced as a result of making the switch to value-based pricing? Bellau: Wow, there are so many benefits we have experienced. For example, I have been able to switch most of my staff from hourly to salary. As a result, they are not as focused on the number of hours they bill per client; instead, they are more focused on making sure that they are doing everything that they can for the client. This has resulted in catching errors on client bank and credit card statements and flagging duplicate vendor bills, which has saved our clients a ton of money. In addition, clients are now able to budget for our services because they know upfront how much they are going to pay and when the payment will be deducted from their bank and credit card account. On the flip side, we know how much revenue is coming in and when, which helps us to meet our obligations to our employees, contractors and vendor suppliers. What is the “magic formula” for calculating a flat-rate price for a client? Bellau: There are a number of components that go into calculating a flat-rate price for a client. Existing clients are easier to transition than new clients because we have historical data we can look at to see billing history and the amount of time we invest to complete their books. Are the bank reconciliations complete for all bank and credit card accounts? Does the client need payroll services? Does the client need tax services? The key is to estimate the number of hours it will take you to complete the work for the client. Automated tasks such as downloading bank information will take much less time than manual tasks that must be completed such as deciphering handwritten checks so they can be entered into QuickBooks. What have you learned by switching clients from hourly billing to flat-rate billing? Bellau: Unfortunately I have had customers who we overestimated the cost. Thus, they were overcharged as well as customers who we underestimated the cost of doing their books and, as a result, we lost money. However, there have been a few times when I had to go back and explain to a client that our fee would have to increase because the original estimate was way off. For the most part, clients are understanding and, if you do good work, they don’t want to lose you and will write the check. The key is to be open and honest with your clients at all times. If you are just doing your research to see if you want to become a freelance bookkeeper, there are a few key things that you need to consider. First, you need to decide if this is going to be your side hustle or if you are committed to providing bookkeeping services on a full-time basis. To help you navigate through this process, we have created a comprehensive guide on how to start a bookkeeping business. If you have a bookkeeping business that is up and running, we’ve got some great tips on how you can get more clients. Check out our Where To Get Freelance Bookkeeping Jobs to see the top pick job sites for freelance bookkeepers. Upwork along with several others made the cut. We have provided answers to some of the most frequently asked questions about freelance bookkeeper hour rates versus flat-rate pricing. If you don’t see your question below, head to the FitSmallBusiness Forum and post your question there, and we will promptly answer it. How Do You Communicate to Clients That You Are Making the Switch from Freelance Bookkeeper Hourly Rate to Flat-rate Billing? Your initial communication to clients should be verbal. Schedule a telephone call with your client to explain why you have decided to switch from hourly rate to flat-rate billing, explain what the new billing fee will be and when it will take effect. It’s also important to explain the benefits your client can expect as a result of this change. How Do You Handle a Client Who Insists on Hourly Rate Billing? During my chat with Candy Johnson Bellau, she mentioned that she had a client who insisted on hourly billing. Bellau went on to say that “even when I showed him that the flat-rate pricing bill would be lower than what we billed on an hourly basis, he still insisted on being billed by the hour.” If you encounter this situation, my advice is to follow Bellau’s lead. If the client is profitable for your firm, give them what they want. How Do You Ensure That The Flat-rate Pricing for a Client Stays Up to Date? After moving your clients to flat-rate billing, it’s a good idea to have employees continue to keep track of the hours that they work on each project. This information can be reviewed on a periodic basis to ensure that your established flat rate for a client remains up-to-date and profitable for your firm. How Can I Get More Bookkeeping Clients? There are several ways to get more bookkeeping clients. You can sign up for a free account with Upwork, which posts millions of jobs in the U.S. and abroad for freelance bookkeepers and other professions. We’ve also got a couple of great resources that includes tips from freelance bookkeeping pros on how to find new clients and our guide on how to get bookkeeping clients that includes unique ways to market your business in order to find new clients. Now that you have a better understanding of the differences between hourly rate billing vs. flat-rate billing, it’s time to decide which is right for you. The good news is that you can start with switching one client to flat-rate pricing and work out the kinks before you transition your entire client roster to this billing method. If you’re looking to expand your client roster, check out our guide on where to find freelance bookkeeping jobs. In this guide, we include the top eight freelance bookkeeping job sites that we recommend to freelancers like you. Where may I find this since there isn’t a link to retrieve it?? Hey Tammy, THANK YOU so very much for letting us know about the missing assessment. Our team has updated the article and it is now available for download. I have included a link to the article: https://fitsmallbusiness.com/freelance-bookkeeping-rates/.